Given to me as a Christmas gift from my boyfriend, what a sweetie!! 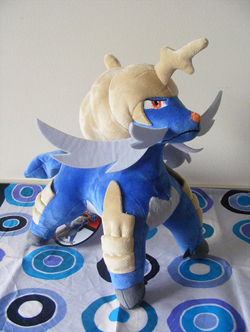 <3 His mustaches are lop-sided, though you can't see it from this photo. But I still love him and his angry face!! 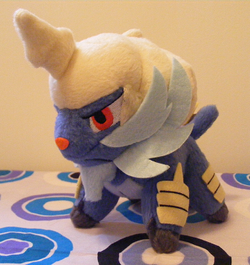 <3 This was the first ever Daikenki plush released! This is MUSCLESSTACHES. And he loves bacon. Look at this little guy!! Such a tiny little staches. <333 I'm surprices they were able to get the details to look so nice, since he has MANY and this is tiny. :> WOOSH! See the entire evolution line below!